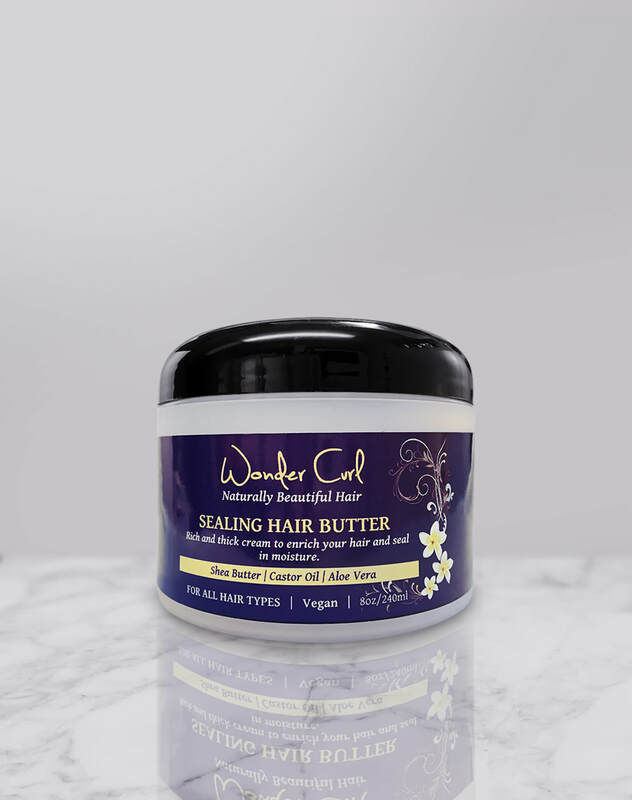 Wonder Curl is a hair care line that combines the traditions of nature with the wisdom of science to formulate hair products specifically with the unique needs of curly hair. Our products will enhance your natural curl pattern, giving it the shine and definition that you desire while protecting your hair from the elements. 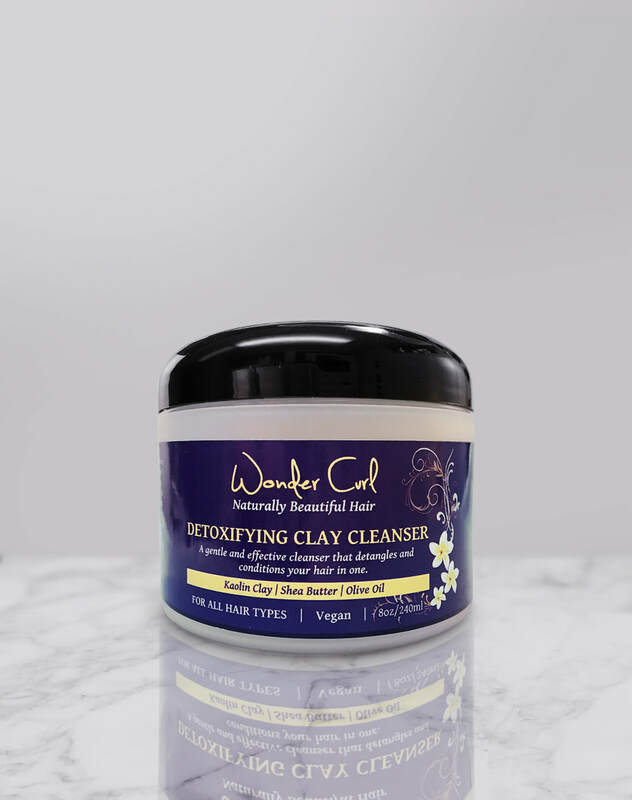 Our Detoxifying Clay Cleanser (8oz) uses Kaolin Clay antioxidants to remove impurities from the scalp and to gently wash away dirt from the hair. The slip helps to ease knots making for a easier detangling while leaving your hair feeling soft and lush. 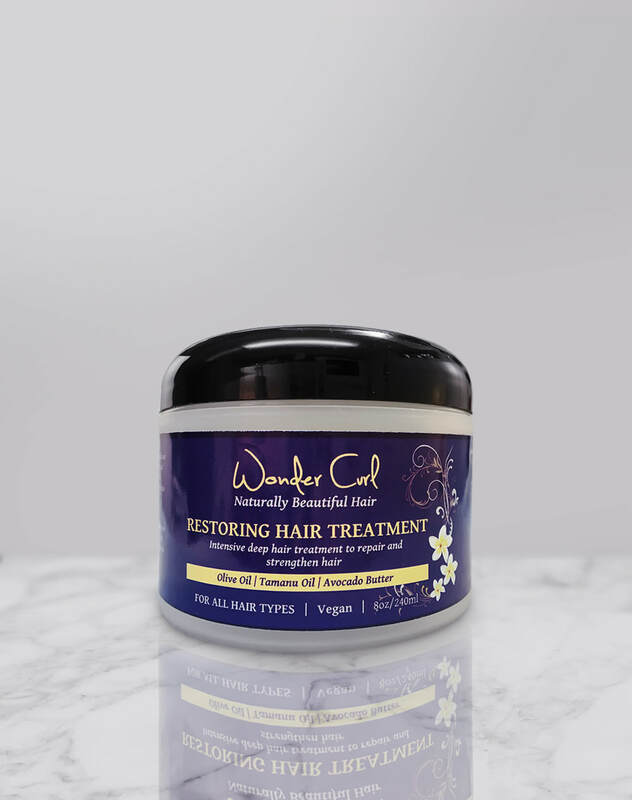 The Restoring Deep Treatment (8oz) contains Shea butter, Avocado Butter, Extra Virgin Olive Oil, Tamanu Oil plus vitamins to rejuvenate dry and tired curls. 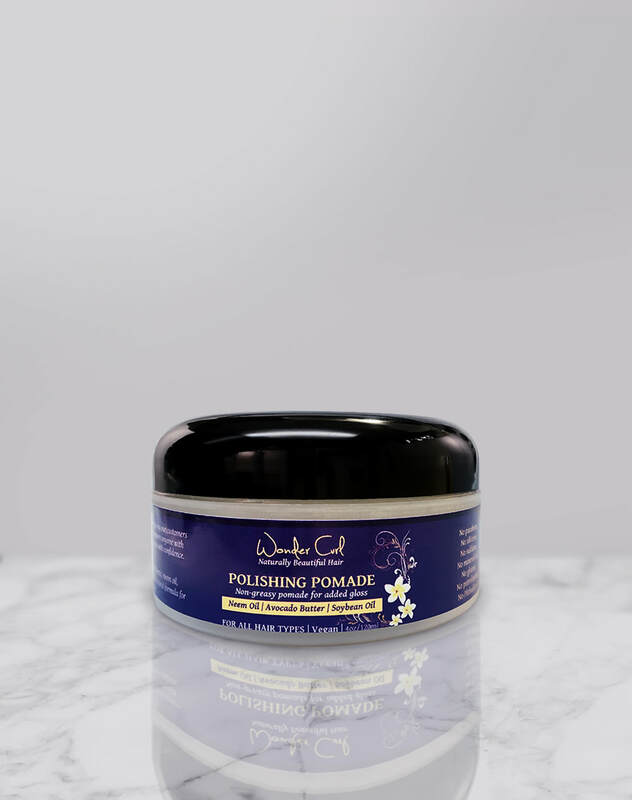 Leave in for 15 minutes or longer using a heated cap or plastic cap so this rich cream can penetrate your hair to strengthen from within as well as smooth your cuticles. Get Set Hair Jelly smooths, soothes and controls frizz without stiffness. Used with organic aloe vera which for many is a miraculous plant, in hair it is used to promote growth and revitalize hair. This jelly is also loaded with pro-vitamin B5 (panthenol) to strengthen your hair. Get Set Hair Jelly keeps your coils looking fresh and fabulous all day. The Polishing Pomade comes in a yummy fragrance, by Yum Yum Candle, Mango Colada. Mango Colada is a sweet and soft scent reminiscent of spending your days on the Caribbean surrounded by fresh fruit and flowers. The Polishing Pomade will leave your hair soft, shiny and smelling wonderful. BTL Whipped is a dream for parched curls. This thick and rich cream is loaded with oils and butters resulting in hair that is full of life and bounce. It has a texture that is less 'wet' than the BTL Pudding and a light hold. Works great with Get Set Hair Jelly for curl definition. This product is perfect for coarser and dryer textures as it seals and moisturizes hair. 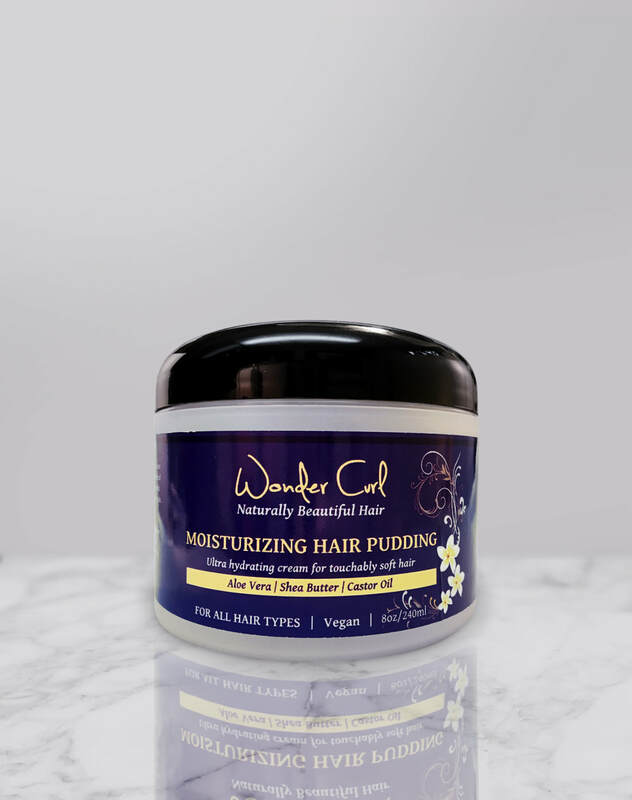 Butter than Love Hair Pudding is an ultra-moisturizing hair cream. BTL will hydrate your natural hair without weighing down your curls. BTL Pudding is a light and fluffy formula that gives your hair shine, slip and unbelievable softness. BTL Pudding will give you curl definition. 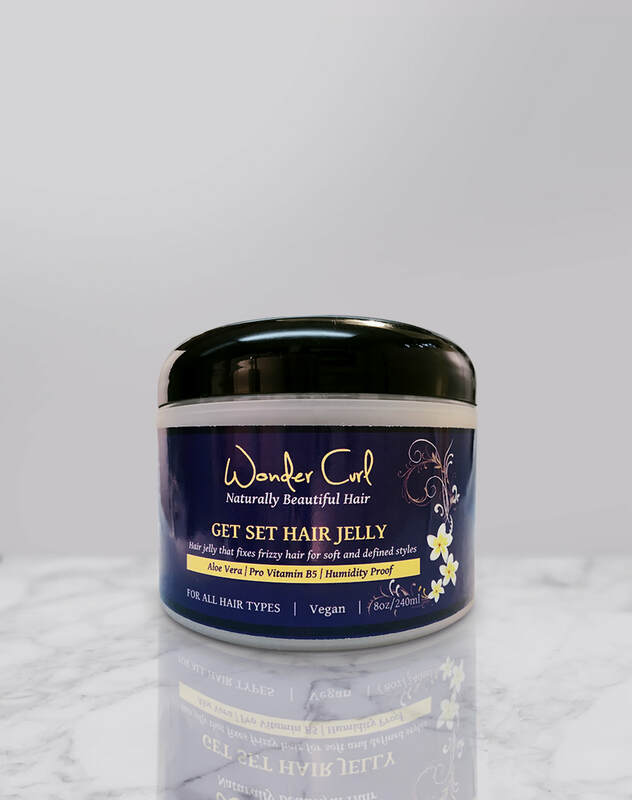 Works well with Get Set Hair Jelly for perfect curl definition. 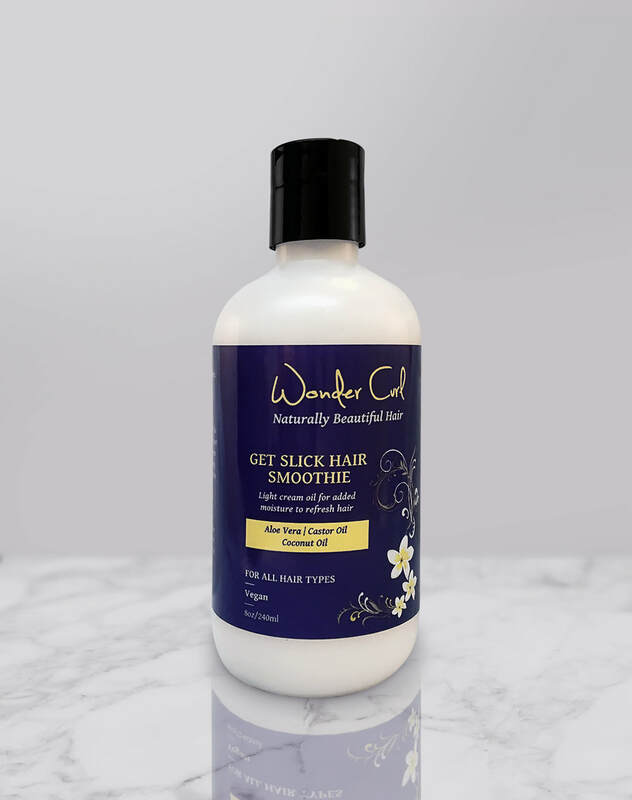 Get Slick provides your hair with the benefits of organic coconut oil and organic castor oil. Coconut oil, known for its benefits to skin and hair, is the only oil that penetrates the hair shaft to strengthen it. Castor oil, also known for its medicinal properties, protects hair, prevents hair loss and promotes hair growth. Using Get Slick Hair Smoothie will keep your hair looking soft, shiny and strong. Read what curlies have to say about Wonder Curl!